Went to Aeon Mall at Kuching Central area with friends. It was fun, literally everywhere have a Niji Cat Photo Spot in this AEON Mall. 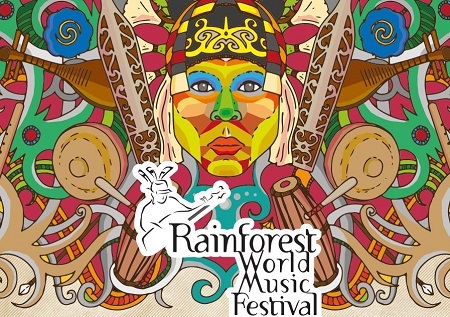 Quite fun but going on weekend is hard due too many human beings. I probably suggested you guys go during weekdays where there are less people. Niji cat of the Food Avenue. 8 stacking Niji cat and Niji fantasy land. The Meaning of Stacking Niji. This is a pillar which build by stacking 8 unique species of cats named Niji. ‘Niji’ means ‘rainbow’ in Japanese word. The leader of the group is White Smarty. The smartest with the special power that avatar to seven other cats. Orange Sunny , happy all the time. Purple Dreamy , which likes to daydream all day. Red Cunning, most crafty in the group. Green Shy, which shies when meeting everyone. Black Oddly, always filled with the strange idea. Brown Cutie, the adorable one. Pink Cheeky, naughty and tricky. A view from third floor. The Niji cats build from recycle material. 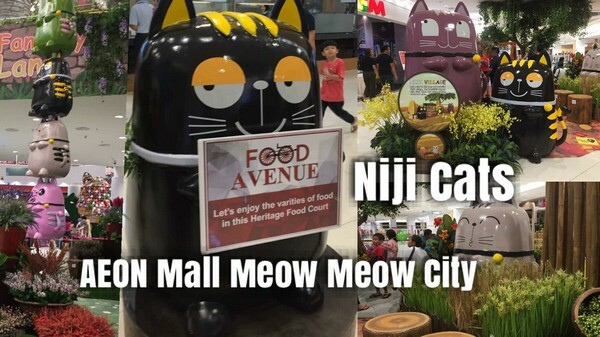 AEON MALL Kuching Central and its adorable NIJI cats, shower you with fun activities and awesome promos. Don’t forget to check out & snap a photo with adorable NIJI Cats mall deco. Niji cats at Aeon mall of meow meow city (Kuching). Discover a brand new lifestyle excitement with your friends & familys today and snap a cool picture of cute NIJI Cats!